Guitarist Marc Ribot has been a sideman for Wilson Pickett, Elvis Costello, Brother Jack McDuff, Tom Waits (with whom he performed earlier this week, at Waits’ induction into the Rock and Roll Hall of Fame), and many others. You can hear him on Raising Sand, the dreamy, atmospheric 2009 Grammy winner (Album of the Year, Record of the Year, etc.) by Alison Krauss and Robert Plant. If you follow jazz, especially jazz guitar, you know about his years with the Lounge Lizards, his bands Shrek, Los Cubanos Postizos, Spiritual Unity (which performs music by Albert Ayler and includes Ayler’s former bassist Henry Grimes), Sun Ship (a Coltrane project), and Ceramic Dog, and his recordings for John Zorn’s label Tzadik. On Saturday, Ribot brings one of his current projects to the Cedar Cultural Center in Minneapolis: a live solo guitar score, performed to a screening of Charlie Chaplin’s silent film The Kid (1921). He’s out with so many projects and bands, traveling to so many places, that looking at his tour schedule makes me dizzy. I caught up with him by phone at the San Francisco airport on Thursday morning, March 17. The line stayed open and we kept talking until he boarded the plane and began looking for space in the overhead bins. PLE: A lot of jazz musicians are playing live music to silent films. Recently Dave Douglas (Spark of Being with filmmaker Bill Morrison), Wycliffe Gordon (Body and Soul), Wynton Marsalis (Louis), Kelly Rossum (Jekyll and Hyde), and now there’s Bill Frisell’s new project with Morrison (The Great Flood). John Zorn has done this for years. He brought his band Electric Masada to Minneapolis in 2006 and played live music to experimental American films from the Walker’s collection. Marc Ribot: I was part of the band that night. PLE: I thought you probably were. What brought you to this type of project? Marc Ribot: I started thinking about it years ago, in the early 1990s, when there was a series at the Knitting Factory called “Loud Music with Silent Films.” That was also around the time of [Bill] Frisell’s Buster Keaton project. I scored a Soviet science fiction movie called Aelita: Queen of Mars. At another point, I did something totally illegal. I wanted to make a political commentary on [a major motion picture Ribot prefers not to name]. So I re-edited it into a 17-minute version and turned off the sound. My version was less edifying and mercifully shorter. One of my big discoveries: They’re all silent movies if you turn off the sound. PLE: Why is performing live music to silent films so popular among musicians today? Marc Ribot: It gives us the chance to encounter an image directly, without the industry in its many forms intervening. The process of film scoring is difficult in the current film industry, because standing between the sublime experience of the composer confronting an image, between the composer’s imagination and the image of the film, falls a shadow—the shadow of the director. Contemporary film scoring is fraught with conflict. The process is horrifying. PLE: Why Charlie Chaplin’s The Kid? Marc Ribot: I didn’t choose the film. The piece was commissioned by the New York Guitar Festival, and they suggested the film. PLE: How much of your score is composed, and how much is improvised? Does it change each time you perform it? Marc Ribot: It changes drastically each time I perform it. If people knew how improvised it was, they’d be scared. Doing this has been the greatest education you could have in film scoring. I’m very interested in the kind of alchemy that happens between music and image. John Lurie, whose film scores I admire, once said that any music fits with any image. But there’s a second part to that: All music changes all images. You have to have an understanding of how you want to change the image. You have to have a lot of structural knowledge, in terms of the dramatic structure of the film. You have to have a lot of psychological knowledge. And you have to have a certain musical understanding. PLE: Talk about your new CD, Silent Movies. It includes a 4-minute track called “The Kid.” Is that one of the themes we’ll hear in your score? Marc Ribot: There are three themes on that CD that I use as material when I perform the score. One is “The Kid.” I also use a little bit of “Flicker,” and “Requiem for a Revolution” is taking on a certain role. But you won’t hear those pieces. I don’t actually peform those pieces. I take a theme, break it up, repeat it, and use it in a film scoring way. The score isn’t really a score, but a collection of leitmotifs that I link with certain characters and situations in the film. I created a lot of confusion by putting out a CD called Silent Movies and performing this score to The Kid at the same time. A lot of people have assumed that the CD is a collection of songs performed for silent movies. That is not the case. Although some of these pieces began as film scores, others didn’t. My intent was not to present a film work CD. My intent was—this isn’t a collection of pieces composed for films, these aren’t scores for silent films, these are silent films. The pieces themselves are an analog for film. They do what films do. Each is an individual world that, although it originates in sound, also creates image. That’s what film does. Instead of calling the CD Silent Movies, I could have more accurately called it Blind Films or Visionless Films. In a way, the CD was more ambitious than a film work CD. PLE: One more question. In your early years, you worked with Brother Jack McDuff. In the Twin Cities, we love Jack McDuff. I’m sure you know that he moved here because he fell in love, and he played at local clubs until he died in 2001. Is there a Jack McDuff story you can share with us? Marc Ribot: I have a great affection for Jack McDuff’s music, and a great affection for the world in which he toured—the chitlin’ circuit. Which has largely disappeared. Hundreds of musicians worked this circuit. It was the school for musicians who went into all different kinds of jazz. A lot of the free jazzers went through it. Now that jazz has been kind of academicized, that’s a world whose passage I mourn. McDuff was in the middle of it. It was a hard world. Jack was angry about that. He had a right to be, and a reason to be. I don’t think that the top three classical organists are carrying their own instruments up to Rochester, New York, for a one-night stand and driving home in the rain seven hours to New York City because the budget didn’t pay for a hotel room. That’s what Jack McDuff was doing when he was the age I am now. On a long ride to Gary, Indiana, during some gas crisis, we siphoned gas out of a car in a parking lot. I remember a lot of driving, and gigs with a lot of great groove. I remember that McDuff sometimes got mad at me because I didn’t memorize the charts. I’m kind of bad that way. If I hear something through listening, I memorize it right away, but if I learn it on a chart, I tend to stay in the chart. McDuff was fond of pointing out the many ways in which I did not measure up to George Benson, one of his previous employees. I could hardly disagree. McDuff was a hard tutor, but a good one. 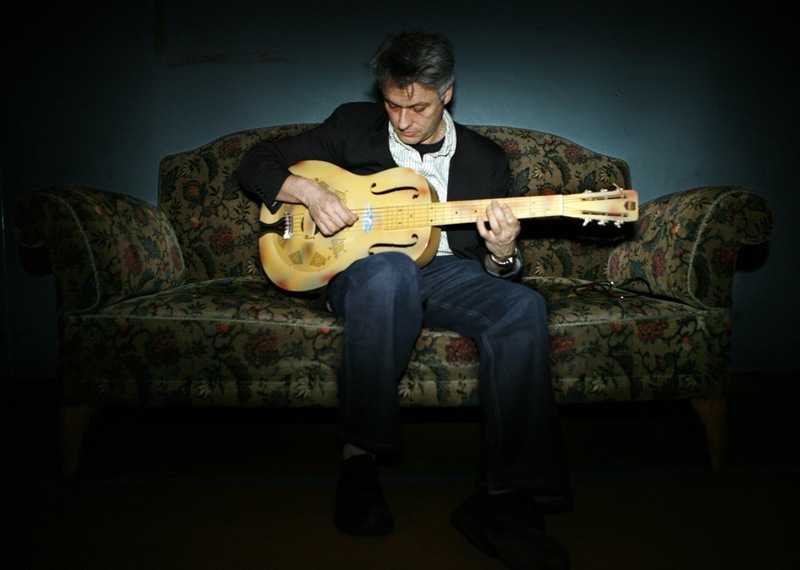 Marc Ribot performs at the Cedar on Saturday, March 19, at 8 p.m. He’ll play a short solo guitar set, followed by his live score to Charlie Chaplin’s silent movie The Kid. Doors at 7. $18 advance, $20 day of show. Tickets online or at the door.